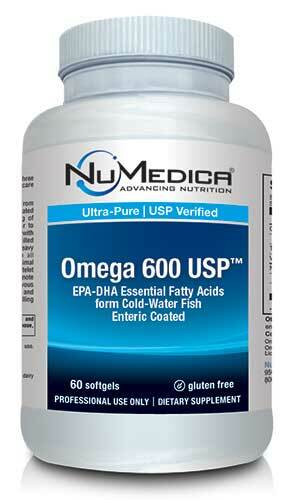 NuMedica Omega 600 USP EC contains Omega-3 essential fatty acids extracted from saltwater fish and then concentrated into a usable form. Consuming enough essential fatty acids from these sources ensures that the human body can continue to perform at peak efficacy and efficiency, thus resulting in a wide range of important health benefits. 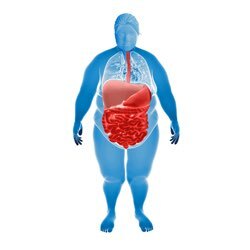 Within our cells, we have a ratio of omega-6 fatty acids and omega-3 fatty acids. The standard western diet is high very in omega-6 fatty acids, so supplementation of fish oil, which is a great source for omega-3 fatty acids, can balance the ratio, which improves overall health. In particular, Omega-3 essential fatty acids have been shown to improve cardiovascular health by regulating cholesterol, regulating triglyceride, and keeping platelets from clumping together as blood clots. 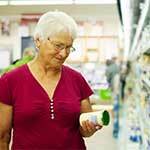 Likewise, there is evidence suggesting that essential fatty acids can reduce the chances of serious medical conditions such as depression and Alzheimer's disease by improving the overall performance of the nervous system, while also alleviating the painful symptoms of joint-related problems such as rheumatoid arthritis. Put together, these benefits make NuMedica Omega 600 USP EC an invaluable tool for people of all ages who want to maintain a state of optimal health as long as possible. Other benefits from fish oil supplementation include benefits for severe depression, joint pain reduction, and a powerful triglyceride reducing effect. Humans need essential fatty acids to maintain their health but cannot synthesize said chemicals in their own systems. As a result, we have to take in essential fatty acids by eating the right foods, with saltwater fish being a prime example of said sources. Once taken in, essential fatty acids are used to fuel a number of important functions, with examples ranging from the formation of cellular membranes to the production of hormone-like substances responsible for other functions of importance. Since essential fatty acids are some of the most basic building blocks of human cells, it should come as no surprise to learn that consuming enough of them helps keep the human body from breaking down over time. Furthermore, consuming Omega-3 essential fatty acids from saltwater fish and similar sources balances out the Omega-6 essential fatty acids that tend to be most common in modern diets, which can serve to reduce and regulate inflammation throughout the human body. Something that can help with a wide range of medical conditions such as asthma, heart disease, and even autoimmune conditions. EPA and DHA (fish-derived omega-3 fatty acids) promote cardiovascular health by supporting optimal triglyceride and cholesterol levels and reducing platelet aggregation. Fish oil has also been shown to promote optimal joint function and overall brain and nervous system function. 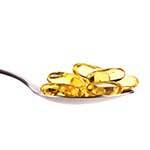 There are many Omega-3 fish oils available for purchase. 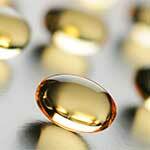 Quality is extremely important in omega-3 fish oil. This means the ingredients used must be both fresh and of the highest quality and the manufacturing process must be quality controlled. Have you ever tried a fish oil supplement that smelled "fishy"? Grossed you out? The reason is because the ingredients were not high quality, or fresh, and were sourced in a way that is similar to buying very ripe bananas on sale at the grocery before they go completely bad. Don't waste your time or money on that. Omega-3 fish oil is one place where quality really does matter. NuMedica sources the ingredients for the Omega product line in accordance with guidelines established by U.S. Pharmacopeial Convention (USP). USP is a scientific nonprofit organization that sets standards for the identity, strength, quality, and purity of medicines, food ingredients, and dietary supplements manufactured, distributed and consumed worldwide. Their drug standards are enforceable in the United States by the Food and Drug Administration, and these standards are used in more than 140 countries. NuMedica's Omega formulas are molecularly distilled and independently verified to ensure potency and purity according to these highest worldwide standards. The purity assay process includes testing for PCBs, heavy metals and pesticides. You can be assured you are getting the highest quality Omega-3 Fish Oils from NuMedica. NuMedica provides high quality nutritional supplements manufactured to meet or exceed strict cGMP quality standards for ALL of it's products, not just the Omega-3 fish oils. cGMP (Current Good Manufacturing Practice) are regulations enforced by the US Food and Drug Administration (FDA) that assure proper design, monitoring, and control of manufacturing processes and facilities. NuMedica Omega is provided in softgel and liquid forms. The 600/780 USP EC is provided with a pleasant smelling enteric-coated softgel. 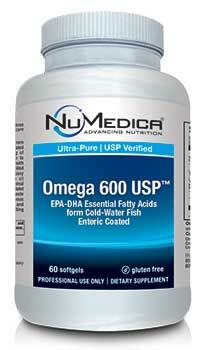 NuMedica Omega 600 USP EC provides 600 mg of ultra-pure, molecularly distilled, natural marine lipid concentrate sourced from fish caught in cold, deep sea waters. The enteric coated softgel has a pleasant taste. Comes in two sizes: 60/120 softgels. NuMedica Omega 780 USP EC provides 780 mg of ultra-pure, molecularly distilled, natural marine lipid concentrate sourced from fish caught in cold, deep sea waters. The enteric coated softgel has a pleasant taste. Comes in one size: 120 softgels. NuMedica Omega 950 USP provides 950 mg of ultra-pure, molecularly distilled, natural marine lipid concentrate sourced from fish caught in cold, deep sea waters. It is NOT enteric coated. Comes in two sizes: 60/120 softgels. 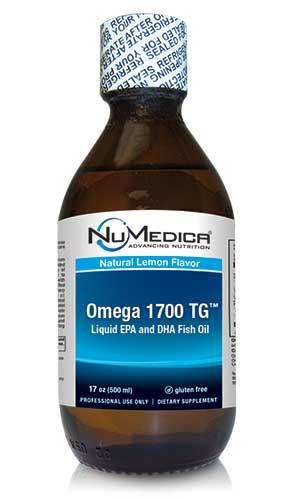 NuMedica Omega 1700 TG provides over 700 mg of EPA and over 500 mg of DHA per serving in a great-tasting lemon liquid flavor. While not as convenient for on-the-go usage as a softgel, the liquid form is very absorbant and the taste makes this extremely palatable for those who do not like the taste of fish. NuMedica EFA Complex blends essential fatty acids from flaxseed oil, borage seed oil & fish oil to support cardiovascular, nervous & immune system health. Omega 600 USP EC - 60 sfgl 1 Softgel 60 Take one softgel one to three times daily or as directed by your healthcare practitioner. Omega 600 USP EC - 120 sfgl 1 Softgel 120 Take one softgel one to three times daily or as directed by your healthcare practitioner. Omega 780 USP EC - 120 sfgl 1 Softgel 120 Take one softgel one to three times daily or as directed by your healthcare practitioner. Omega 950 USP - 60 sfgl 1 Softgel 60 Take one softgel one to three times daily or as directed by your healthcare practitioner. Omega 950 USP - 120 sfgl 1 Softgel 120 Take one softgel one to three times daily or as directed by your healthcare practitioner. Omega TG 1700 Natural Lemon Liquid 1 Teaspoon 100 Take 1 teaspoon up to 4 times daily (children take 1 teaspoon per day) or as directed by your healthcare practitioner. Store in refrigerator after opening. Omega EFA Complex 1 Softgel 60 Take one softgel three times daily or as directed by your healthcare practitioner. Other Ingredients: Gelatin, glycerin, purified water, enteric coating and vanillin. Contains: Fish (anchovy and sardine). Note: Vitamin E may be derived from soybean oil. Free of: Milk, eggs, shellfish, tree nuts, peanuts, wheat. Does not contain artificial colors or preservatives. Omega 600 USP™ omega-3 fatty acids are in the Ethyl Ester form.Omega 600 USP™ is GMO-free and Proposition 65 compliant.Omega 600 USP™ is a USP (United States Pharmacopeia) verified fish oil manufactured in cGMP laboratory. Many people ask what diet we recommend, and the answer is simpler, and less expensive than you might first believe. 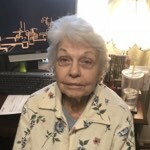 NuMedica Has Given Me Back My Life! Do you wonder, "What else can I do for my skin?" 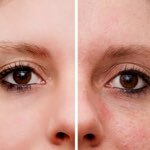 If you've tried over the counter solutions, chemical peels, microdermabrasion, avoiding the sun, and all sorts of other potions, you may need to re-think your skin regimen. Something's Fishy- Tastes like Skittles??? What do you do when you grow up in a wellness minded family? You just might compare this Fish Oil to... Skittles? Supports healthy eye and brain development and may also improve mood and reduce risks of cardiovascular disease.